It's the kitchen story! Or at least the first part. This story is so epic, it needs a few posts to tell it all. It kinda turned into a nightmare. 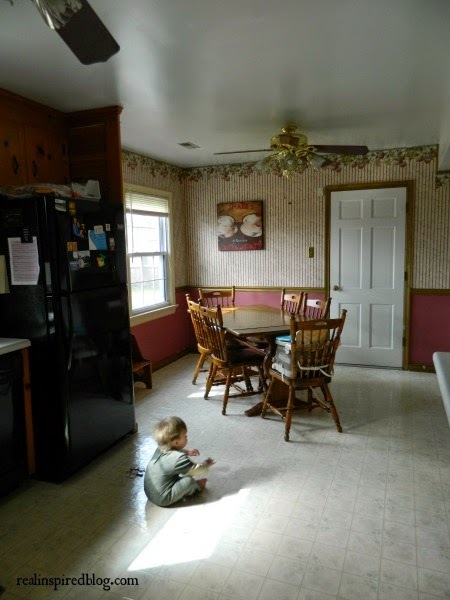 I posted about my kitchen and the outdated-ness of it a while back. 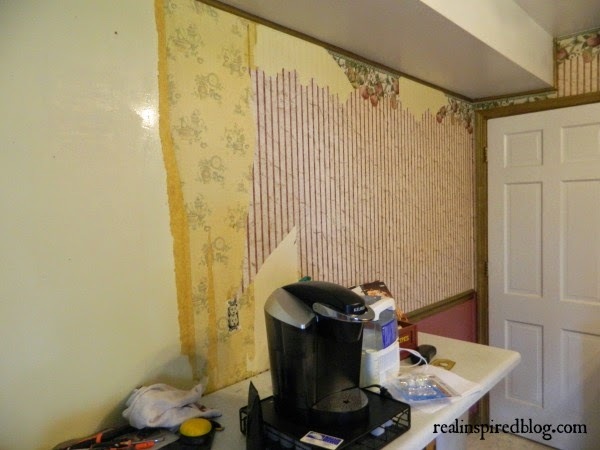 The old, stained linoleum, knotty cabinets, layers of wallpaper, and metallic gold trim...it was hideous. And just way too busy and dark. I love my kitchens full of light! The only thing going for this room was the windows. And so, I set about to stripping the layers of wallpaper, using only a spray bottle filled with vinegar/water and a wallpaper scraper. Seriously, don't even think about using that wallpaper removal gel. Useless junk. Vinegar is the way to go! 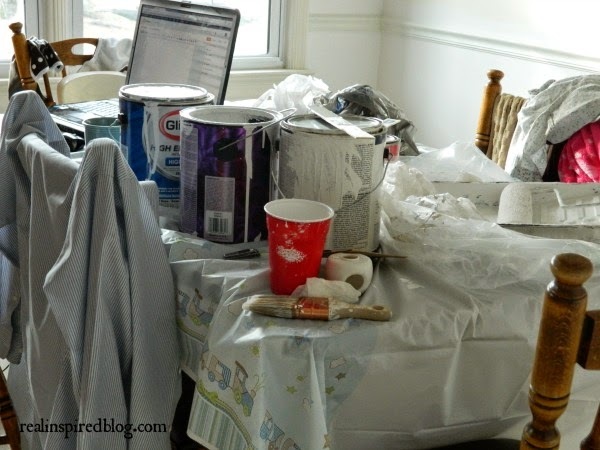 In several months time I had only finished one half of the room and had to bring in family and friends to help me to get the room de-wallpapered and painted before baby came. We started painting the month before I was due. We were cutting it super close. Because I procrastinate. And because of mommy brain. It took a couple days to get it finished but it was so totally worth it! Now we are light and bright! I just have to find the time to get those cabinets painted too. After we got this lovely coat of white paint up, we discovered that we had a leak under the floor in the bathroom off the kitchen. I wrote more about that experience and getting it fixed here. Fixing the leak created a big hole in our floor and a need to replace the linoleum. The part of the story that hasn't been told yet, is what happened when they started pulling up the old flooring...which I will tell in part 2!